Figure 1. 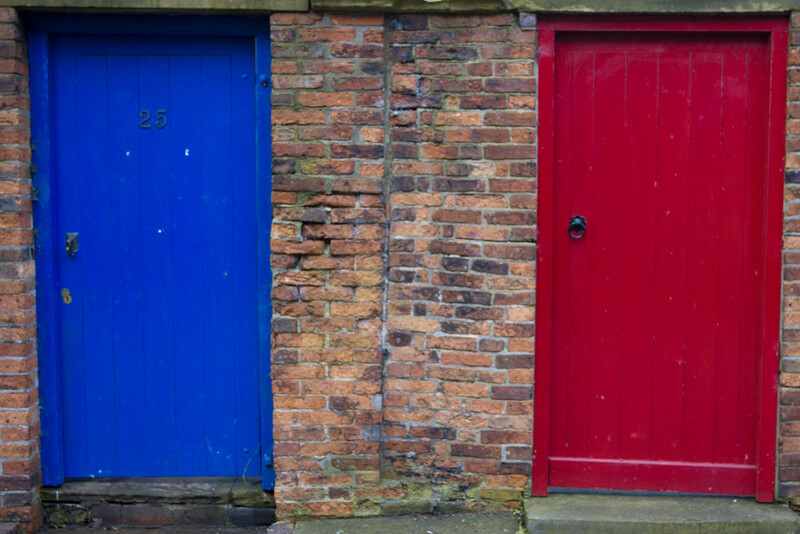 What is the opportunity cost of choosing the blue door? Since resources are limited, every time you make a choice about how to use them, you are also choosing to forego other options. Economists use the term opportunity cost to indicate what must be given up to obtain something that’s desired. A fundamental principle of economics is that every choice has an opportunity cost. If you sleep through your economics class (not recommended, by the way), the opportunity cost is the learning you miss. If you spend your income on video games, you cannot spend it on movies. If you choose to marry one person, you give up the opportunity to marry anyone else. In short, opportunity cost is all around us. The idea behind opportunity cost is that the cost of one item is the lost opportunity to do or consume something else; in short, opportunity cost is the value of the next best alternative. Since people must choose, they inevitably face trade-offs in which they have to give up things they desire to get other things they desire more. In some cases, recognizing the opportunity cost can alter personal behavior. Imagine, for example, that you spend $8 on lunch every day at work. You may know perfectly well that bringing a lunch from home would cost only $3 a day, so the opportunity cost of buying lunch at the restaurant is $5 each day (that is, the $8 that buying lunch costs minus the $3 your lunch from home would cost). Five dollars each day does not seem to be that much. However, if you project what that adds up to in a year—250 workdays a year × $5 per day equals $1,250—it’s the cost, perhaps, of a decent vacation. If the opportunity cost were described as “a nice vacation” instead of “$5 a day,” you might make different choices. The federal government could provide armed “sky marshals” who would travel inconspicuously with the rest of the passengers. The cost of having a sky marshal on every flight would be roughly $3 billion per year. Retrofitting all U.S. planes with reinforced cockpit doors to make it harder for terrorists to take over the plane would have a price tag of $450 million. Buying more sophisticated security equipment for airports, like three-dimensional baggage scanners and cameras linked to face-recognition software, would cost another $2 billion. Figure 2. Time and Money. Lost time can be a significant component of opportunity cost. However, the single biggest cost of greater airline security doesn’t involve money. It’s the opportunity cost of additional waiting time at the airport. According to the United States Department of Transportation, more than 800 million passengers took plane trips in the United States in 2012. Since the 9/11 hijackings, security screening has become more intensive, and consequently, the procedure takes longer than in the past. Say that, on average, each air passenger spends an extra 30 minutes in the airport per trip. Economists commonly place a value on time to convert an opportunity cost in time into a monetary figure. Because many air travelers are relatively highly paid businesspeople, conservative estimates set the average “price of time” for air travelers at $20 per hour. Accordingly, the opportunity cost of delays in airports could be as much as 800 million (passengers) × 0.5 hours × $20/hour—or, $8 billion per year. 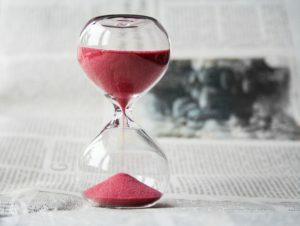 Clearly, the opportunity costs of waiting time can be just as substantial as costs involving direct spending. Watch this video to see some more examples and a deeper explanation of opportunity cost.